The recent 2011-in-review conference on international criminal justice included more than one occasion for difficult self-examination. None was harder than the recitation of travails in Cambodia. At The Hague conference organized by Northwestern Law Professor David Scheffer, Andrew Cayley (far left), the International Co-Prosecutor at the Extraordinary Chambers in the Courts of Cambodia, detailed the fits and starts that marked the year for that tribunal. 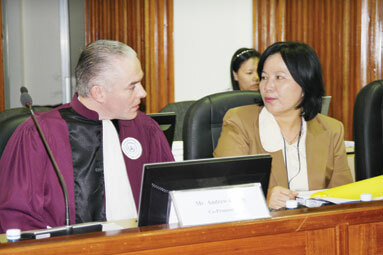 As we've discussed in our Khmer Rouge accountability series, 2011 was marred by bitter standoffs between Cayley's office and that of the National Co-Prosecutor, Chea Lang (above, right), by criticism of an international co-investigating judge and that judge's eventual resignation, and by other staff resignations. Whether the ECCC, whose record to date includes a single conviction of a single defendant (Case 001), and continuing proceedings in a 2d case (Case 002), should close shop or go forward with 2 additional cases (prospectively numbered Case 003 and Case 004). The Cambodian government opposes the latter option, and many national appointees at the ECCC agree – though many internationals do not. ► Scheffer traveled to Phnom Penh, and it appeared that the new international Co-Investigating Judge, Laurent Kasper-Ansermet of Switzerland, was setting to work. 'Kasper-Ansermet said he was leaving because his Cambodian counterpart, You Bunleng, had thwarted attempts to investigate former members of the 1970s regime. Without venturing an answer, it's to be noted that little of this unfortunate news ought to surprise. Scheffer's recently published memoir, All the Missing Souls, recounts the challenges by this tribunal, which seeks to assess some accountability for the Khmer Rouge atrocities of the 1970s. 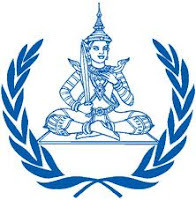 Cambodia's request for U.N. assistance did not come until 1997 – 20 years after the events – and agreement on a tribunal was not reached until 2003. No indictments were forthcoming for another 4 years after that. Potential defendants (not to mention many victims) have died amid these delays. And the agendas of the international and the national actors diverged from the get-go. Anyone recommending new tribunals outside the framework of the International Criminal Court – for old or new crimes (see here and here, for example) – should consider carefully the cautionary tale of the ECCC.